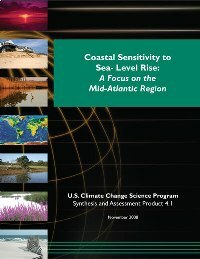 " The U.S. Environmental Protection Agency (EPA), in collaboration with the U.S. Geological Survey (USGS) and the National Oceanic and Atmospheric Administration (NOAA), has released a report that discusses the impacts of sea-level rise on the physical characteristics of the coast, on coastal communities, and the habitats that depend on them. The report, Coastal Sensitivity to Sea-level Rise: A Focus on the Mid-Atlantic Region examines multiple opportunities for governments and coastal communities to plan for and adapt to rising sea levels.
" Mary D. Nichols is Chairman of the California Air Resources Board, the lead agency for implementing California’s landmark climate change law, the Global Warming Solutions Act of 2006. The views expressed are her own. "